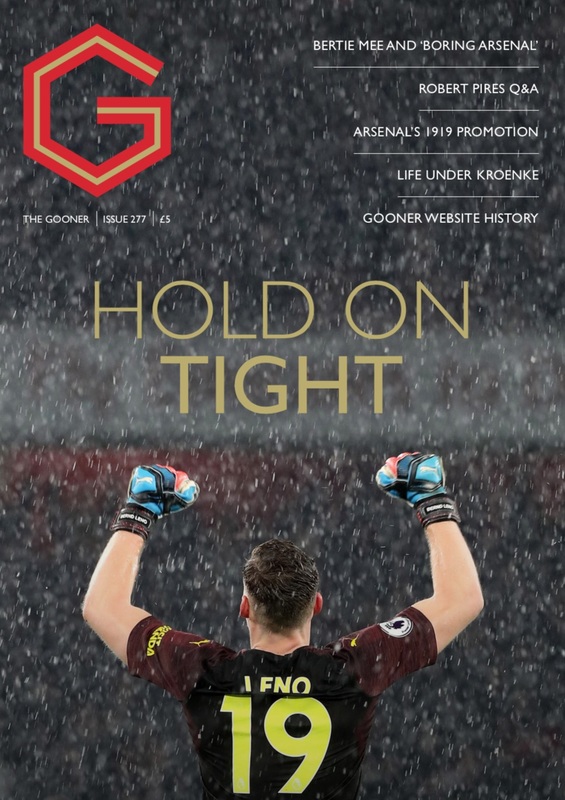 The Gooner issue 275 offer a mixture of writing on the present day combined with some more retro articles from our team of Arsenal supporting writers. 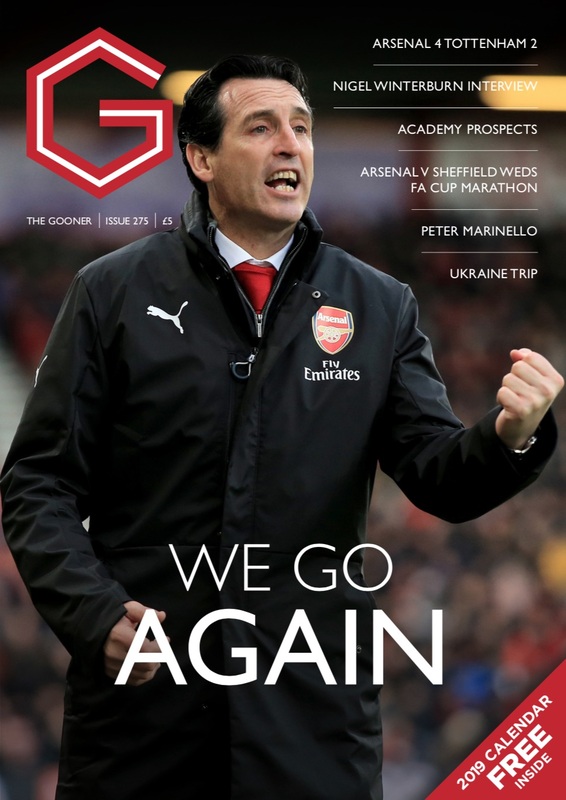 Our ‘historical’ content includes an interview with Nigel Winterburn, a recollection of the epic five match FA Cup 3rd Round match between Arsenal and Sheffield United in 1979 and a comparison of the debut North London derbies of three of our most notable recent managers. 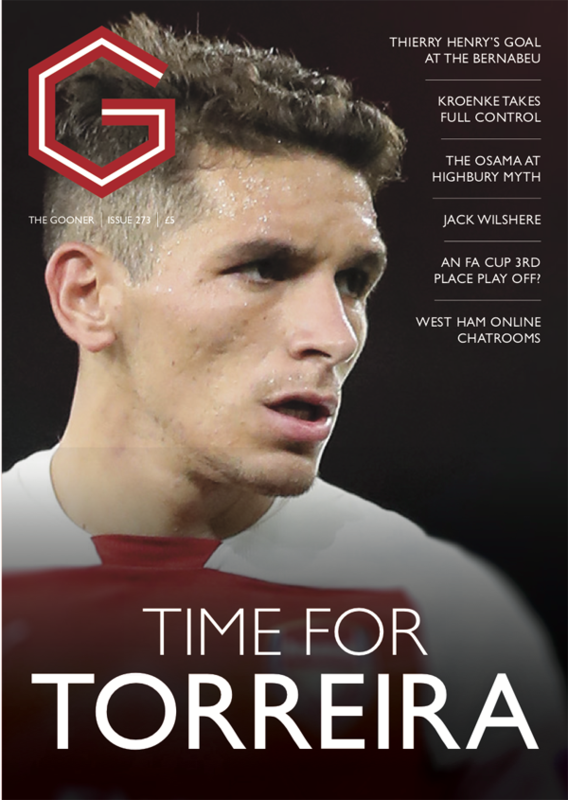 There are also articles on Peter Marinello, Arsenal’s most used substitutes and a Jack Wilshere wonder goal. Looking at the present day, there are reflections on the recent 4-2 North London Derby victory and a visit to the Spurs online chatrooms at the time of the game in our ever popular ‘In The Away End’ feature. There’s a trip report of an epic journey to Ukraine to watch Arsenal play Vorskla, from a fan that had arrived in Vorskla before finding out the game had been switched to Kiev. 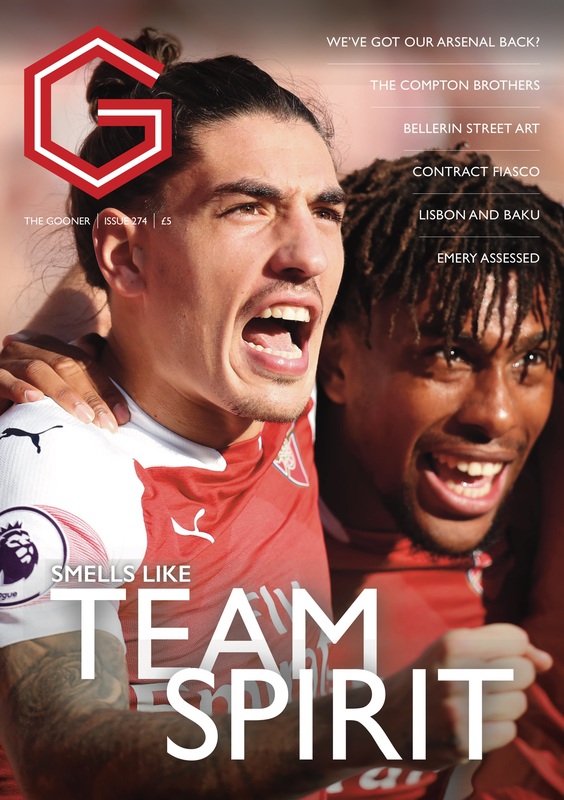 Also, articles on why the media are hyping up Spurs, the Gunners’ need for wide men and whether the extra cost of a club level seat is justified. Our regulars including The Spy, Mickey Cannon, Talking Reds, Well Played and our ‘Up the Arse!’ humour section are also included. 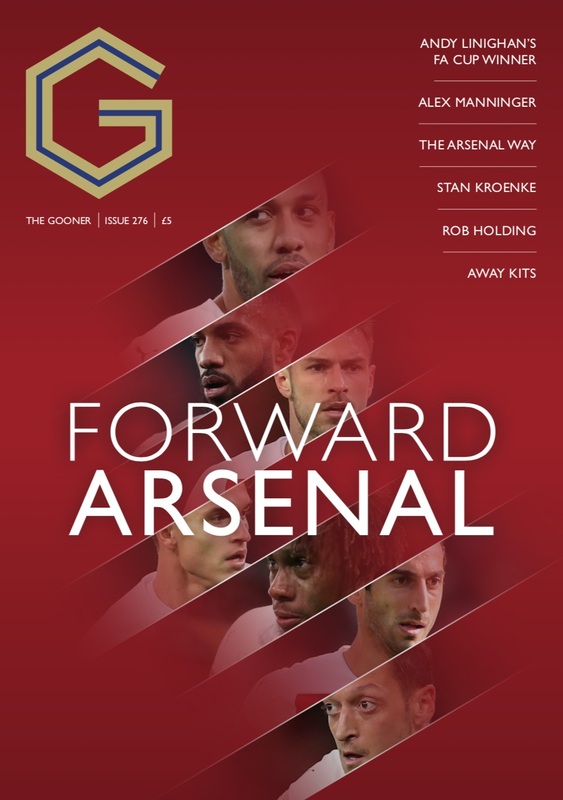 Plenty of Arsenal reading over the festive period and beyond in our 68 pages. Please use the reference ‘275YourSurname’ on the payment – eg ‘275Smith’ and follow up the payment with an email to thegoonerfanzine@btinternet.com stating your name and address, and the reference that you used for payment (e.g. 275Smith or whatever). Via direct PayPal payment to the email address thegoonerfanzine@btinternet.com. Pay either £6 and state in the message you are requesting issue 275 (although we’ll assume this if there is no message from the amount paid). If doing this, please make your payment a 'friends and family' / personal gift payment – this helps keep our costs down.